Sometimes gifts seem better when we share them with somebody we love. Why not offer your mother a gift she can never refuse? A gift that also includes you and time spent with you. Here are some of the most unique gifts that you can offer your mother for her birthday. A day at the spa – this is probably every mother’s dream: to spend a beautiful day bonding with her daughter at the spa, so why not make that come true? Make sure that you order all the beautiful spa packages for your mother and have her really relaxed and enjoying herself while in your company. Get a facial treatment or a massage together, or even both to make sure that this day remains a day she will remember forever. Cinema and Dinner – why not make sure that your mother is entertained? Spending a beautiful day with her that starts with a dinner and ends with a good movie is probably all she needs to feel loved by her daughter. You can catch up during the dinner and spend quality time together during the movie and also have fun. If you really want to impress your mother, all you need to do is plan a vacation for both of you in a place she always wanted to go; this means that you will have to surprise her somehow and make sure that she doesn’t find out until your trip begins. Other unique gifts that can be shared with your mother are gifts that show the bond between you two; for example, you can get matching jewelry for both of you. 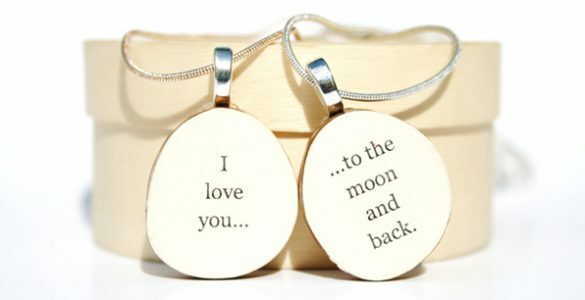 You can buy necklaces where you can write both your names and she will always remember you whenever she wears it. This will also create a beautiful symbolic bond between you two. A gift for your mother should always show how much you love and respect her; it should be something she always wanted or something she admired, but also don’t forget to personalize it and make sure that the thing that you offer her signifies how much you love her.